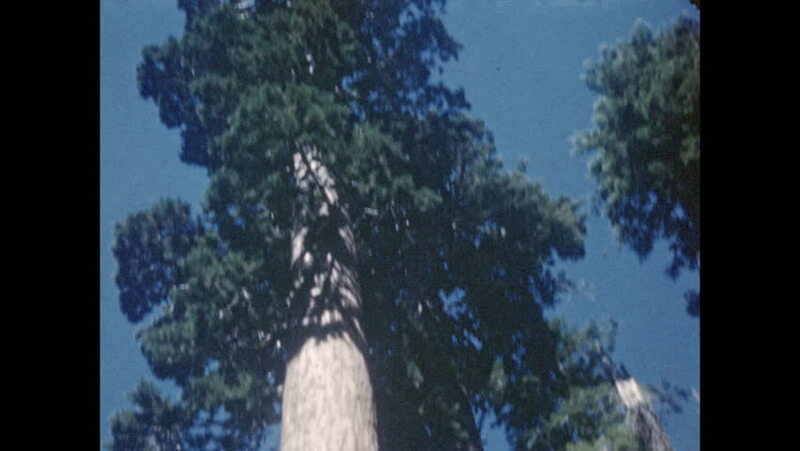 1940s: Sequoia trees. Man leans with his back against a sequoia tree trunk and spreads his arms. A small waterfall flows down the rocks. hd00:50Sunset mountain landscape, camera pans left to right, South Africa.